Mulch with compost every spring and keep weed free. Water when dry in summer. Deciduous Climber growing to 5m at a fast rate. In flower in May/June and the seeds ripen from Sep to October. Suitable pH: acid, neutral and basic (alkaline) soils but prefers acidic soils. 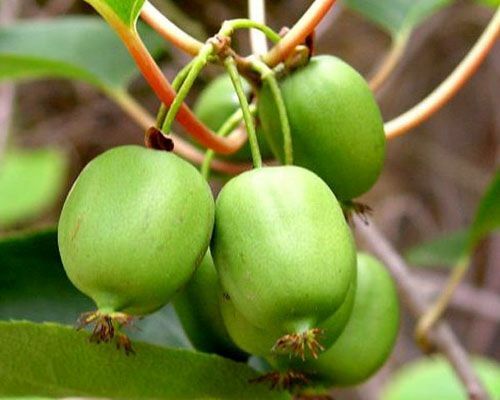 Fruit: The smooth skinned green fruit are the size of grapes and taste like a sweet tropical kiwi without the furry skin. 'Issai’ is a more compact vine than some of the other hardy kiwis.